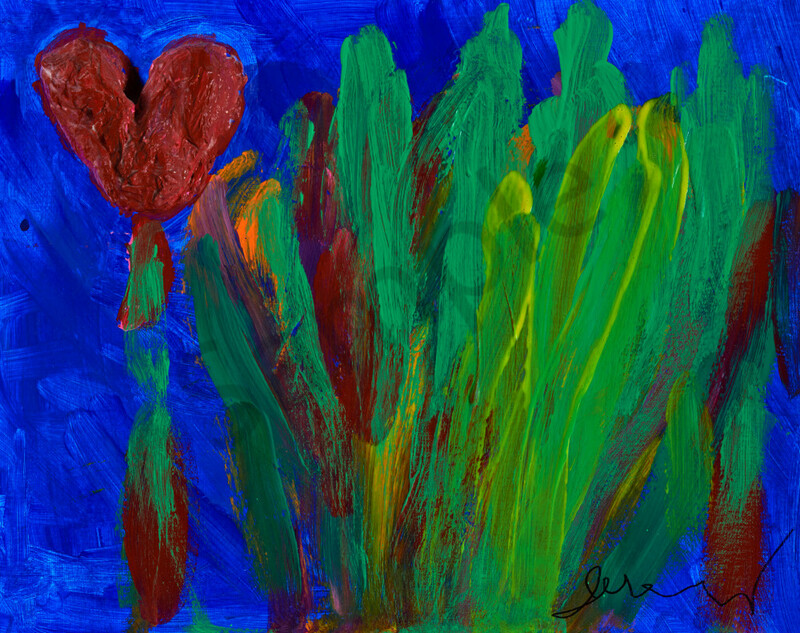 This is one of Jeremy's earliest paintings, and the first on the subject of love. 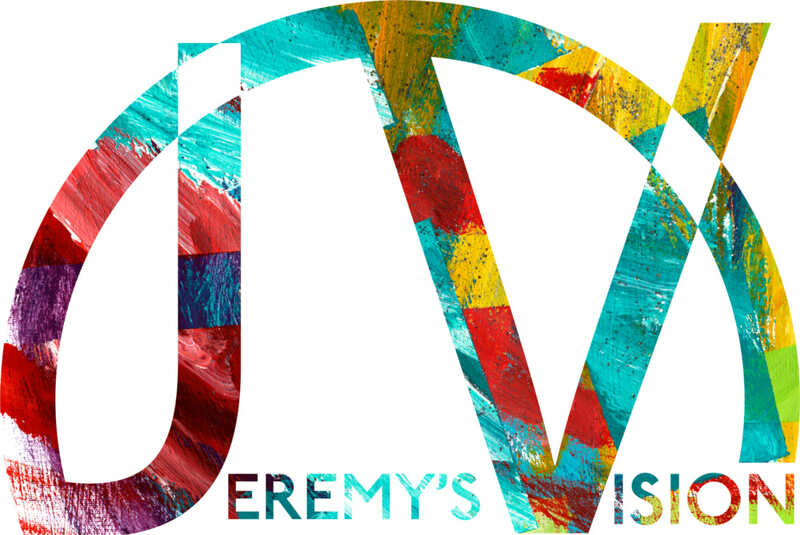 Love is a theme Jeremy dreams and paints about often. Click on "full description" link to read the dream behind this painting. "I greatly dreamt I painted my aura while searching for my true love. The painting was blue for the knowledge I had in the qualities I was looking for in my love. There was a red heart because of the anxiety of trying to get the right person to love me. Yellow and green represented happiness and calm, the feelings realized by finding love. Kindly my green self hopes to overcome the anxiety I feel at the thought of no love."